After a chapter meeting of Assistance League Santa Clarita, a member decided to buy some lunch on her way home. She was wearing her Assistance League shirt, and the large shiny letters AL on the front identified her as a member. She entered a local fast-food restaurant and gave her order to the young man working behind the counter. He prepared her lunch and handed her the bag. As she thanked him and turned to leave, he reached into his pocket and pressed a $20.00 bill into her hand. She wore a puzzled expression, and he began to explain. A few years earlier his father had lost his job, and the family was struggling financially. Through their school, he and his siblings were given vouchers allowing them to participate in Assistance League Santa Clarita, Operation School Bell. Along with their parent, each of them went to Old Navy and selected new school clothes, and then new school shoes at Payless Shoe Source. As she attempted to return his money, the Assistance League member explained that Operation School Bell is a philanthropic program that is part of our mission to help families in need in the Santa Clarita community. He refused to take it back saying that his family was doing better, and he was proud that he was working and could make this donation. He hoped that it would help another child to feel the way he had when he received his new school clothes and shoes. That Assistance League member had tears in her eyes as she shared his story at our next meeting. School starts in mid-August. 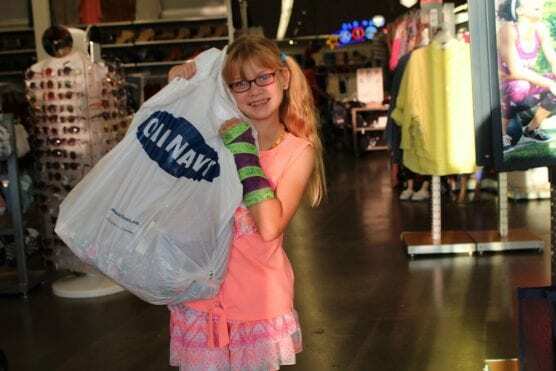 Operation School Bell begins on Sept. 9 and continues through October, in cooperation with Old Navy and Payless Shoe Source. This year Assistance League Santa Clarita anticipates serving approximately 2200 children in grades Kindergarten through 12 from every public school in the Santa Clarita Valley. The students will shop with a parent and select their new school clothes and shoes. Studies have shown that when children are able to dress like their peers, they have better self-esteem. This leads to reduced incidents of bullying, and better school performance. Students participating in RISE, a College of the Canyons program (Resources for Individual Success in Education which provides support services to current/former foster and homeless youth), will be given vouchers to take part in Operation School Bell in early November. Assistance League Santa Clarita member/volunteers work all year to make Operation School Bell successful in our community. Our main fundraiser is Assistance League Resale at 24364 Main St in downtown Newhall. When you donate your gently used items, or shop with us, you are helping to make other young students feel like the young man working at the fast food restaurant. For additional information, visit their website www.assistanceleaguesantaclarita.org.